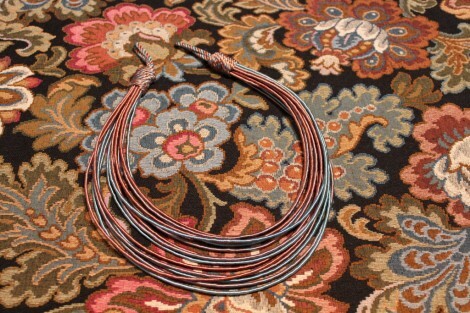 In addition to their normal function, our individually crafted tiebacks and blind cords emphasize the effect of your curtains. 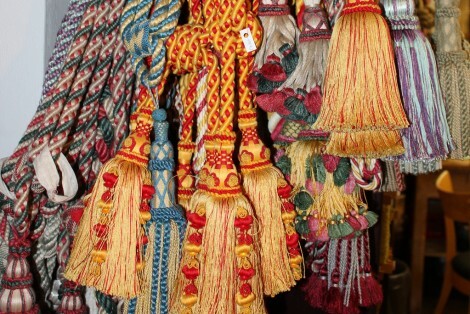 If desired, decorative details such as colour and style coordinated tassels can additionally be attached to the tiebacks. The diameter, the material, the span, the colour combination and the design are always flexible. 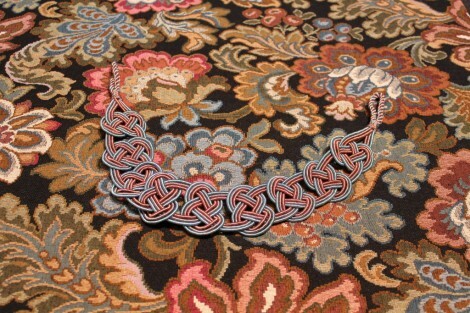 All tiebacks from our factory are special, unique productions that correspond to your individual requests. We will gladly advise you competently on the sorts of designs and decoration options on the basis of your fabric samples. 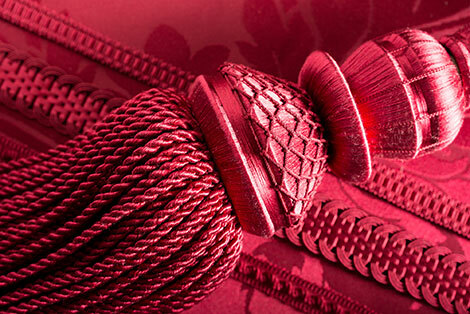 An almost endless variety of tassels, can give your tiebacks the final icing on the cake. 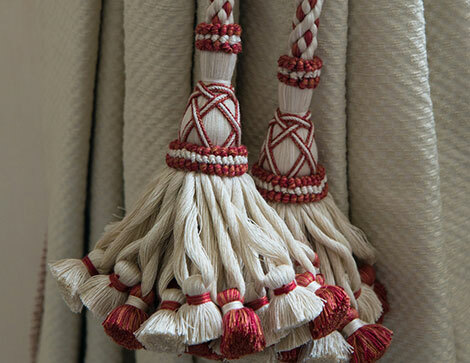 Not only theatres, opera houses and palaces order tiebacks with us, numerous private clients also opt for this particular stylish embellishment for their curtains. 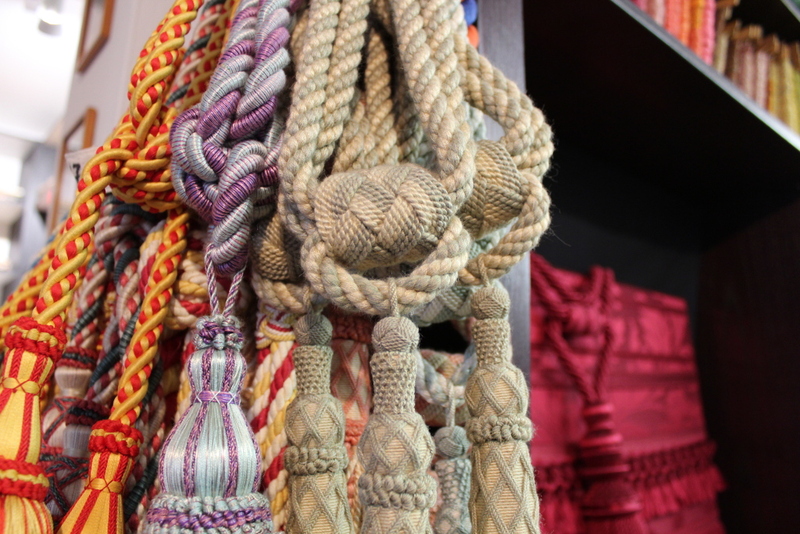 Like all the products from our factory the tiebacks and blind cords are distinguished by outstanding quality and brilliant construction thanks to our traditional manufacturing processes – always individually tailored to your interior design style, whether classic or modern.